This editorial represents the views and ideas of the author and staff. It is not representative of Bay Farm Middle School as a whole. 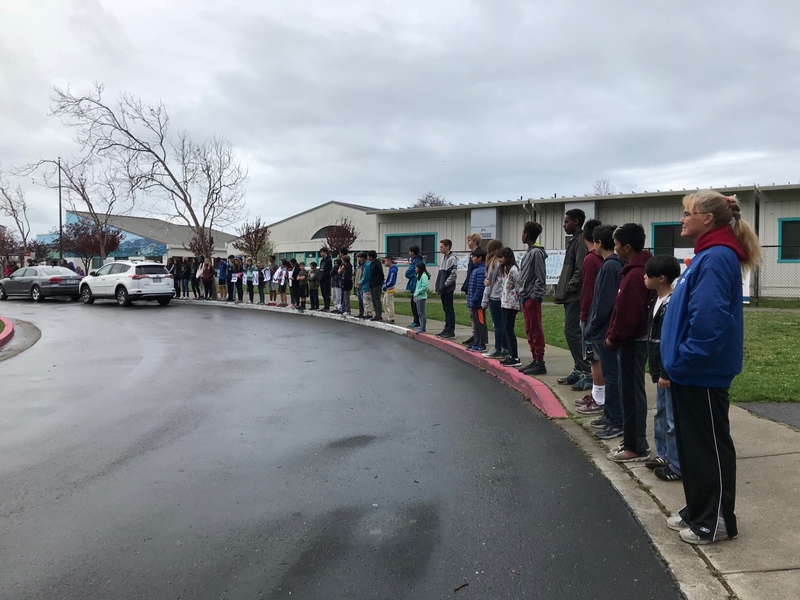 To commemorate the people lost in the Parkland, Fla. tragedy and school shootings across the country, Bay Farm School joined the nation in a walkout for 17 minutes – one minute per person killed in the Parkland shooting – on March 14. 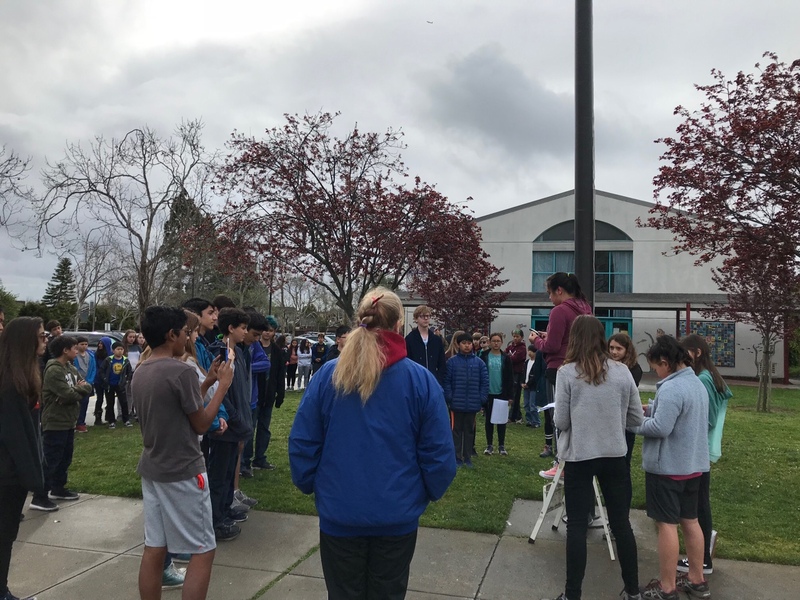 Beginning at 10 a.m., more than two-thirds of the middle schoolers here at Bay Farm gathered in front of the school to voice their opinions on gun control, the shooting, Congress’s inactivity towards this, and to honor the deceased. 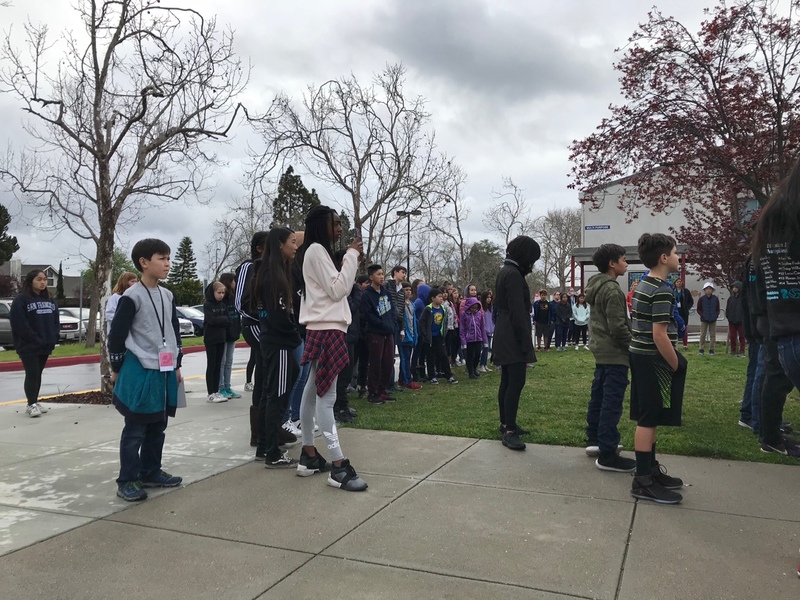 Our walkout may not have done much for current politics, but it has inspired kids to become involved in politics and world affairs at an early age, and when they reach the required age, to vote. 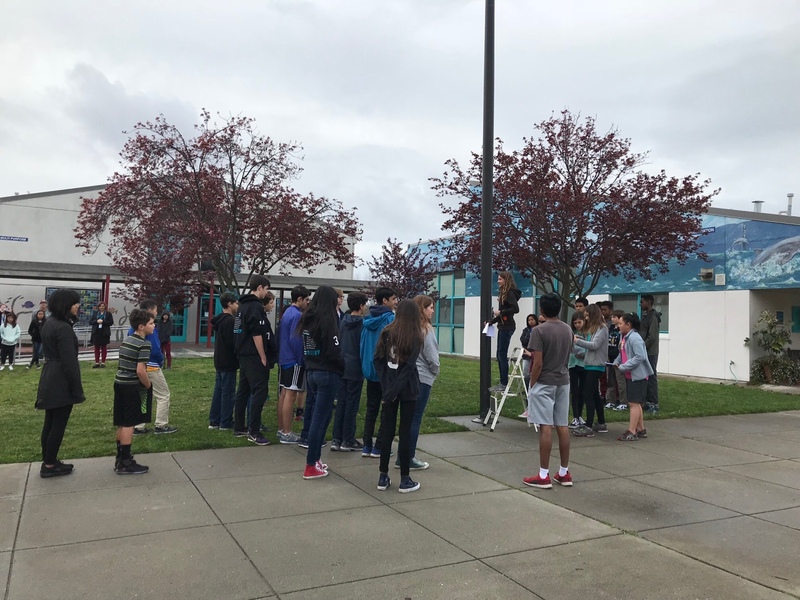 We hope that the message the walkout projected was not one of helplessness, but one of power, and we encourage lawmakers to make their decisions with children in mind. Will they teach us that our protests and lives are worth nothing, or that we can actually make a difference in who is elected and what passes? We offer a reminder that the children are watching, and we will inherit the country. 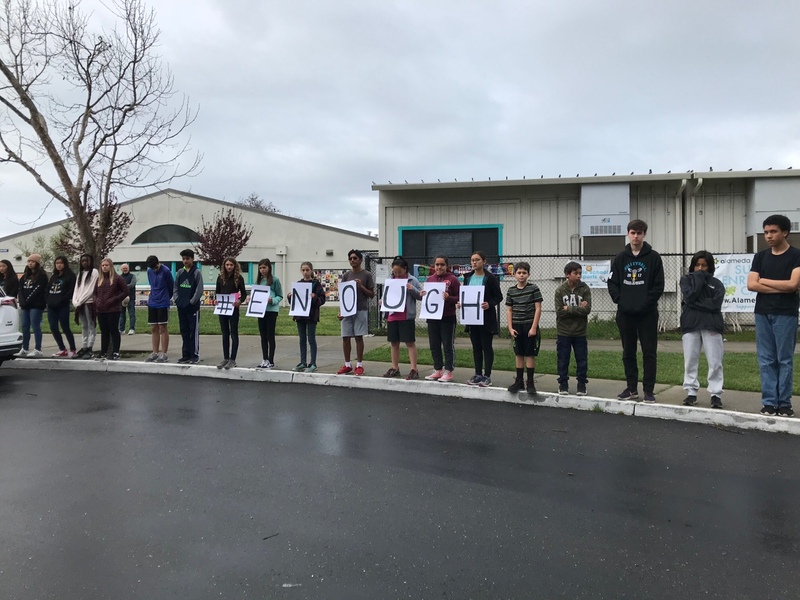 Now, this doesn’t mean that more kindness will solve the issue of school shootings completely, and a “Walk Up, Not Out” policy would pin responsibility on victims instead of lawmakers. It is not a student’s job to watch out for a potential shooter and befriend them under the threat of death. No, a student’s one and only job is to learn, and they should have no distractions in doing that. We as a newspaper would only like to remind people to make the world a better place in addition to protesting injustice. “We are losing our lives while the adults are playing around,” a sentiment that is being largely echoed nationwide. 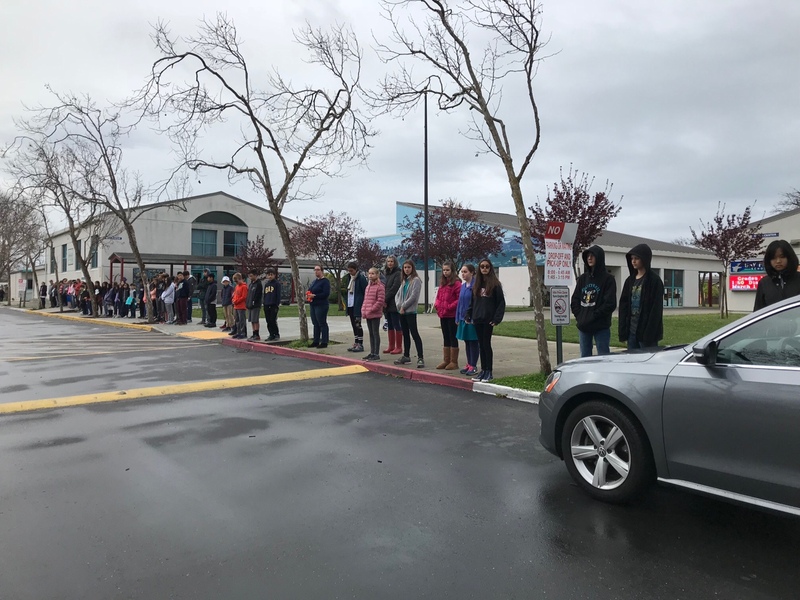 Bay Farm students and staff joined the protest, and whatever their reasons were for doing so, we here at The Dolphin Tail are proud of them for taking a stand.